Narrative is essential to memory, it's how we process what has happened in our lives. It's easy for emotion to enter into this process, and thus is born nostalgia. This is the process cartoonist Seth's seminal Clyde Fans follows. Seth is obsessed with the past, his various works follow a rabbit hole that smashes together everything from the 30's through the 50's with remarkable specificity. His art, with its rounded faces and wide smiles, captures a sentiment best found in Frank Capra's gee-whiz movies or, if sticking to Seth's preferred medium, Peanuts. Seth's reputation grew in the mid-90's Canadian alt-comics scene, one where autobiographical works rode high and genre wasn't seen as much of a place to go. Clyde Fans is a work of fiction that doesn't just feel real, like any good work of fiction does. It ties the memoir trend of the time into a knot being thrown overboard, connecting an anchor to a ship. The tensions of the everyday cannot withstand the hold of nostalgia, and vice versa. The result is a mental breakdown. Clyde Fans (buyable here)starts in a place you wouldn't expect from Seth: 1997. The first two pages do nothing but show time passing, night fading into the morning. In a documentary on his life and work, Seth's Dominion, Seth discusses how he values the timelessness in comics, how the medium allows for a great amount of patience. Only on the third page does anybody actually do anything. You are slowly drawn into the world of one Abe Matchcard, an old man waking up and going about his day. The original comics were compiled in a series called Palookaville, and Abe fits the bill. He's the palooka of your dreams, the old man on the park bench feeding ducks. His stories aren't great, but they are his. They're of a life lived, and Seth is determined to show that this life had value. He goes into explicit detail concerning the history of company, talking directly to the reader. Seth takes advantage of the medium's potential for omnipresence and doesn't even bother with a set-up. Abe is talking directly to the reader of this book, unconcerned by the fact that they are in his bedroom when he wakes up and in his bathroom when he takes a bath. After all, they're listening to him, which is more than anyone else has done in a long while. The details of Abe's morning become fascinating thanks to Seth's patience. Abe starts to fill the tub in one panel, walks away, and comes back several later to it being full. This might seem unremarkable if it didn't, on the page, illuminate how full of motion the world of Clyde Fans is. Abe remarks on this, noting how his business, the sales of electric fans, went under due to his failure to innovate properly and embrace central air conditioning. His voice is tinged with regret, but assumes responsibility for his failure, not that anyone cares who was responsible anymore. Clyde Fans was an efficient Canadian business, promising a personal touch and low prices until its services were no longer needed. Abe's conversation with the reader is one of sadness mixed with pride, it is also one that keeps coming back to his brother Simon. "Y'know, in some strange way, I couldn't help but admire Simon's inability to cope," Abe says. Simon is peppered throughout the one-sided talk, creating an air of familiarity. Through this technique, Seth lets Abe become vaguely specific, a walking Barnum statement: we've all known a Simon in our day, Abe implies, someone who just couldn't keep up with the pace of life. There is only so much Abe can do during his day, a boring one in his retirement: he bathes, he moves boxes around, he taps on lightbulbs. Seth creates such fluid movement and works through the details of these actions so exactly that the reader can't wait to see which one he'll do next, how he'll find more room to do things during his day. But he runs out. He ends by reciting a children's poem taught to him by his mother and looking at old ledgers. Simon's picture stares at him and Seth zooms in, until Simon's wall portrait fills an entire frame. We're back forty years in 1957. This is Seth's forte, the place where his art is most comfortable. Part Two of Clyde Fans opens with a gorgeous shot of a train running across the wilderness. 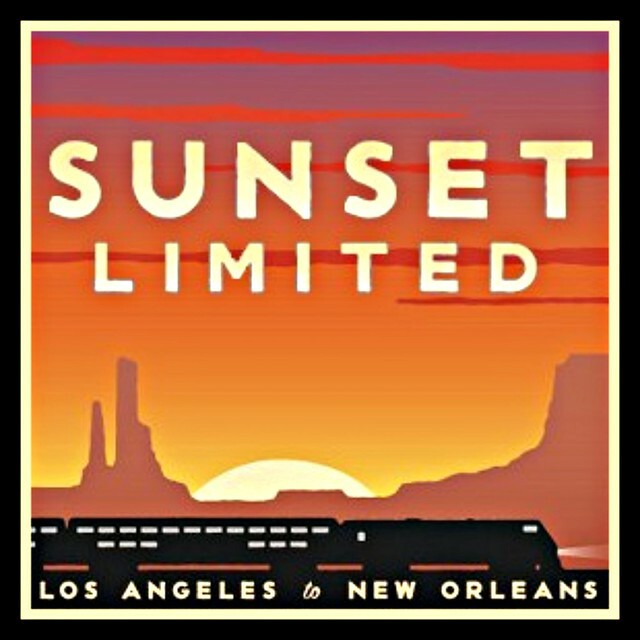 It's the type of image one finds in Amtrak ads, it's certainly possible that whoever designed the logo for the Sunset Limited looked at Seth's work and was inspired. The imagery is meant to suggest greatness, industry, progress towards the future! Below it, a tiny station called Flaxton (actually the name of a town in across the border in North Dakota). Next to Flaxton, an even more disappointing image: that of Simon. The train chugs on, Simon occasionally glances out at it. Sometimes he reads. It's possible to see Seth's nostalgia creep through these images: even for an ordinary businessman at the time, and if Simon is anything he is ordinary, the grandest of trips was available. It's a stirring narrative and one Simon desperately wants to buy into. This is where Abe's account of things and the facts start to diverge, and it's fascinating to watch them in opposition to each other. Simon writes in his journal of his optimism: "Abe thinks this is a whim. He, of all people, should know better. This is my one chance to have some sort of life. Even know, I'm gripped with fear. But I can feel things changing. This small, sad, effort is the largest thing I've done in more than a decade...Tomorrow, I will sell!" The hope shines through, vibrant and alive. Anyone who's ever made a cold call can tell you that it's grueling even at it's best. Of all the factors in play, the most important one is that the person you're talking to didn't seek you, you are actively intruding on whatever they were already doing, be it walking or sitting on a couch and staring at a wall. To cold call someone is to make them suddenly take their privacy very seriously, to make them value their time more than they did a moment before. Anyone who complains about how millennials have abandoned their privacy clearly hasn't asked them if they have a moment for gay rights. Cold calling is tough work, even if you do everything right. Simon doesn't. He stutters, he sweats, he's polite to the point of docility. Everyone is saying no to him, and it's hard to say what's at fault. Could they have been convinced to buy? In the opening section, Abe recalls a few disastrous trips of his own where there was just no interest in the product. Of course, Simon's nerves aren't helping. The memories start to pile up in his head: Abe's warning about whims, the pressure to succeed. The moments start to beat on Simon, smashing into each other without mercy. The rejections, some of them kind and some of them sharp, pile on top of each other. Oxygen starts to feel in short supply reading about his trip. Victory appears everywhere he looks, just out of reach. The sweating grows, profusely. Faces run through Simon's mind. Smiles, frustrations, Abe's ever-billowing cigar. All point to one word, over and over again: failure. Perhaps the most famous work drop-out in literary history is Herman Melville's Bartleby, who "prefers not to" work and just doesn't, letting everyone else deal with the consequences. Simon desperately wants to work, to feel of value, but he just can't, dammit. His mental breakdown sends him towards the dramatic, which is common trait of the experience. When you feel like you've got nothing left to hang onto, the embrace of the larger-than-life, the Humphrey Bogarts and movie-style one-liners, can feel like a warm embrace. He walks to the outskirts of the small town in which he's stationed and finds a store. Desperate, he asks the shopkeep, "Sir—did you ever feel that you every action, your every thought, was being scrutinized?As if an intense light was focused on you." After a confused no, he leaves his sample case and keeps on walking. It helps. The faces start to fade into blackness, leaving only voices of doubt which are slightly more manageable. He finds a mini-golf course and settles down, finally able to clear his thoughts. 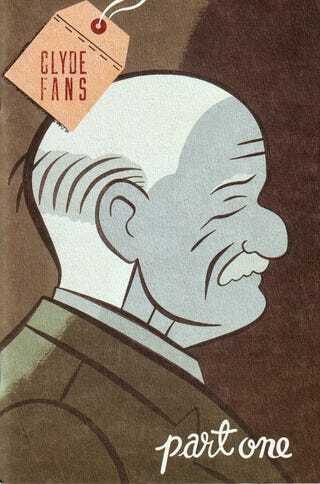 Clyde Fans, at least in the two parts presented in the handsome hardcover volume (two other parts exist, but good luck finding them in old Palookavilles scattered around eBay) presents two characters at war, with the weight of their histories pressing down hard. It's a theme common in Seth's work: another book of his works is called It's a Good Life, If You Don't Weaken. Mental strength, agility and quickness are presented as a paramount to life lived in the first section, and Seth promptly shows us that exact opposite. Working in conjunction with each other with great beauty, the two manage the rarest trick: to make the reader yearn for the past while scorning nostalgia. Things were different back then, no they weren't, maybe they just looked nicer but were more openly cruel. If personal history is to have any value, it can be that of a guide, of learning from mistakes. Clyde Fans refuses to coddle its characters or its readers in any false sense of narrative, but can't help but be compassionate to those who are hurting, who are in pain. If sympathy is the least one person can offer another, Seth argues in Clyde Fans, it is worth doing.